The unique sequence-defined property endows materials scientists with the ability to precisely tailor and adjust the combination of functional groups at an atomic level, making it possible to easily customize multi-functional materials. In particular, peptoids-based 2D nanomaterials, as an emerging class of innovative nanomaterials, are showing unprecedented simplicity in synthesis, core and surface modification, sequence-controlling, and economic availability. Inspired by early achievement in the field of 2D nanomaterials, recently-developed “origami” method was exploited to assemble DNA sequences into crystalline 2D nanostructures. 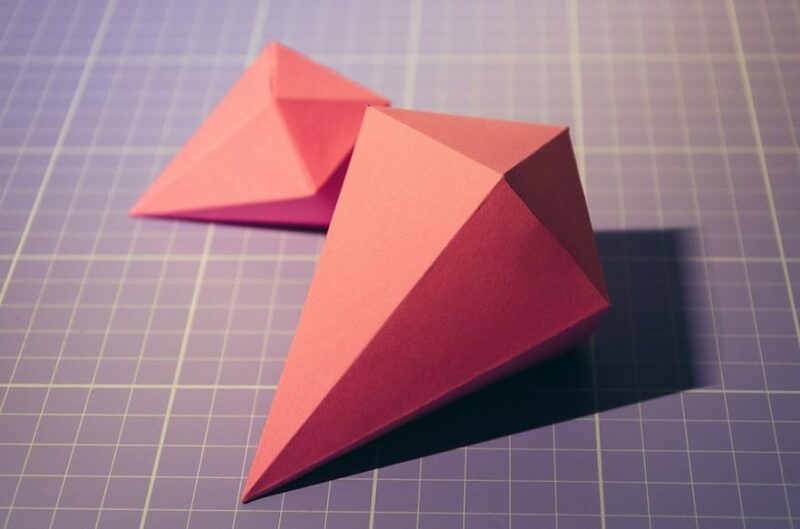 The “origami” DNA molecules are designed to fold into monomers with uniformly-shaped building blocks, such as hexagonal or cross-like, and then these building-blocks self-assemble into a 2D structure. Interestingly, every step of the structure formation process are controlled by intra- and inter- molecule complementary interaction. All the information that controls the self-assembly are encoded into the DNA molecules. Because of the complexity of the DNA molecules and the information they contain, the computational calculations and simulations are heavily relied on to predict the folding and self-assembly behavior of a specific DNA sequence in order to create desired structure. In this process, thousands of factors have to be considered in designing DNA-based 2D nanomaterials. Inspired by the self-assembled protein-based materials in nature, such as 2D crystalline bacterial cell surface layers, scientists have devoted tremendous efforts to utilize natural and engineered proteins as building blocks for the design and synthesis of functional materials, including 2D nanomaterials. A number of approaches have been developed in the past decades to assemble proteins into 2D nanomaterials, which include the computational design of assembling proteins with shape-complementary interfaces, ligand-mediated protein assembly, and metal coordination driven protein self-assembly. A variety of functional 2D nanomaterials with high information contents have been successfully synthesized using these approaches. In contrast to proteins, peptides have short amino acid sequences and are usually less complex to control their self-assembly, while exhibiting protein-like molecular recognition. By manipulating the secondary structures of peptides and their intermolecular interactions, peptides that exhibit either α-helix or β-sheet structures have been used as building blocks to assemble 2D nanostructures. Peptoids (poly-N-substituted glycines) is one type of protein mimic and sequence-defined molecules which can self-assemble 2D nanostructures. Peptoids share a similar structure and properties with peptides and proteins, but the lack of backbone hydrogen bonds and chirality which makes it easier to control peptoid self-assembly behavior compared with peptides and proteins. Also, they can be economically synthesized through a step-by-step solid phase synthesis method using primary amines instead of amino acids. The backbone length and the side-chain diversity of peptoids can be precisely tailored at an atomic level. They are resistant to the enzymatic degradation and are thermally stable. More importantly, the 2D nanomaterials assembled from peptoids can be precisely tuned to have tailorable core and surface achieving protein-like molecular recognition for applications. Recently, Zuckermann and our group have figured out two different strategies for self-assembling of sequence-defined peptoids into 2D nanostructures: by compressing monolayers at interfaces and by evaporation-induced solution crystallization. These peptoid-based 2D nanomaterials have attracted increasing attention for the development of multi-functional materials. In a word, the development of sequence-defined 2D nanomaterials created a massive potential for multifunctional materials. The properties of these nanomaterials can be altered and modified at an atomic level. In particular, peptoid-based 2D materials offer an easy way to modify their composition and surface chemistry while exhibiting protein-like molecular recognition. While the study on the sequence-defined 2D nanomaterials is still in the early stages, the current progress in investigating the mechanism of peptoid-based 2D nanomaterial self-assembly and the materials design principles offer great promise for achieving predictive synthesis of functional 2D nanomaterials. These findings are described in the article entitled 2D nanomaterials assembled from sequence-defined molecules, recently published in the journal Nano-Structures & Nano-Objects. This work was summarized by Peng Mu from the Pacific Northwest National Laboratory and the State University of New York, Guangwen Zhou from the State University of New York, and Chun-Long Chen from the Pacific Northwest National Laboratory. Peng is a research scientist at the Pacific Northwest National Laboratory and the State University of New York.